If you’re interested in keeping unwanted people out of your Hotmail inbox, you’re certainly not alone. 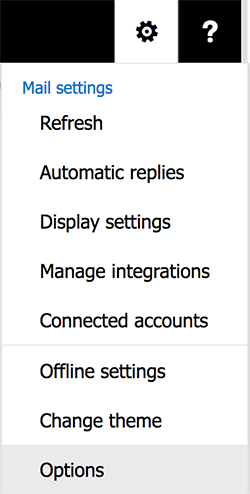 These days, Hotmail is officially Outlook. However, your Hotmail address will still be functional, just as it always has been. Today, we’d like to share information about how to block emails from unwanted people within your very own Hotmail account. Once you’ve learned how to initiate this quick and simple process, you’ll never have to worry about getting electronic communications from the wrong people again. There are so many sensible reasons to block someone. Whether it’s an ex that you want to forget about, a person who sends spammy messages that you never solicited or any other type of nuisance person, you’ll find that blocking is the secret of enjoying your Inbox, free of messages from the annoying party. 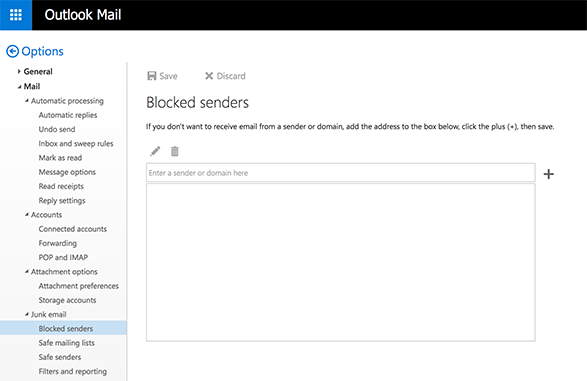 This is why so many people want to know how to do blocking within Hotmail/Outlook. These two platforms have migrated, so these step-by-step instructions are the smartest way to take care of blocking tasks for Hotmail and Outlook. To begin, be sure to log into your current Hotmail account. You’ll need to be logged in if you want to make any changes, including blocking emails from people whom you don’t wish to receive emails from. Next, go into the area called “mail settings”. To find it, hit the little “gear” icon which is located in the upper right-hand corner of the screen, near your own name. After you do this, click on “blocked senders”. Once you’ve done so, add the addresses of the unwanted people. Make sure to double-check these addresses. It’s all too easy to type in the wrong email addresses. After you’ve double-checked them, you’ll only have one more step to complete. The last step is reporting the email addresses that you’ve added to your block list as spam. Then, you’re all done! You can take care of all of this within a couple of moments. Also, once you’ve done it once, you’ll find that doing it again takes just seconds. Hotmail is now Outlook, but it offers the same great features and it’s definitely one of the most user-friendly interfaces for email. When you choose to use the blocking feature in Gmail, you’ll have a high degree of control over what you get in your Inbox. However, the features of this ultra-popular email program don’t stop there. You’ll also be able to access POP on an individual basis and enjoy upgraded security features. As well, you’ll find that searching through emails in order to find what you need is really simple and straightforward. This email interface is designed to give users quick access to email messages and folders. As well, it’s easy to find pictures within the platform and it’s also simple to organize social media content. Lastly, this platform will give you the option of creating IMAP access to a variety of Web directories.